Tapestry Collection	There are 4 products. Tapestry, a collection with a romantic spirit. 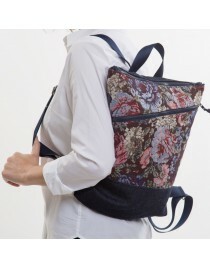 They are bags handmade that combine denim fabric with a robust jacquard upholstery fabric with flowers motif. 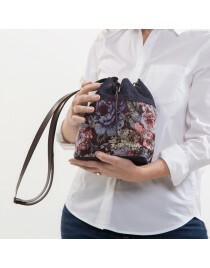 Fold-over clutch with floral pattern combining jeans with upholstery and faux leather. Elegant flower backpack with front zip pocket for women. Combines originally an upholstery fabric with navy denim fabric.